Come and listen to my interview from last week! 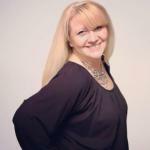 Listen to my interview on the BlogTalkRadio show Tell Me A Story from The Magic Happens network. The show is hosted by Annette Rochelle Aben and the topics range from tacos to poetry, and from novels to what Annette had for breakfast. Click the image below to go to the interview! I even read a poem and make up one for our friend Judy Martin of Edwina’s Episodes. Today at 1:30 PM EST-Ronovan Writes on Tell Me A Story Radio! It’s been a whole year since my last stop in with Annette Rochelle Aben on The Magic Happens network. Last time on her Internet BlogTalkRadio show, I had her Tell Me A Story. Yes, I turned it around and the guest was asking the host the questions. What will I do this time? Last year I mentioned working on my debut novel. That novel is out and receiving amazing reviews. This year we’re talking about poetry. Why me? I wonder. She wonders how many odes to tacos I have? Little does she now. Yes, I will be reading at least one poem. Join me at 1:30 PM Eastern, that’s New York Time! Annette watches the chat and speaks with those there so join in, say hi, and even throw her a question for me. Cover Reveal of my debut novel-Amber Wake: Gabriel Falling with @PSBartlett. As promised yesterday in the guest post by Award Winning Author P.S. Bartlett, here is the book cover for my debut novel tentatively scheduled for a release date around Christmas. What’s it about? Before there could be The Blue Diamond, before there could be Demons & Pearls, before Ivory Shepard could become the pirate known as The Razor, there had to be Rasmus. 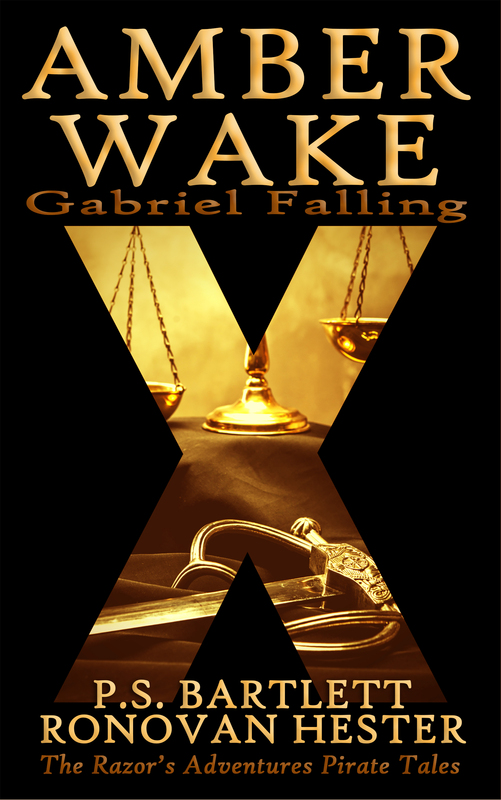 Amber Wake: Gabriel Falling by P.S. Bartlett & Ronovan Hester. 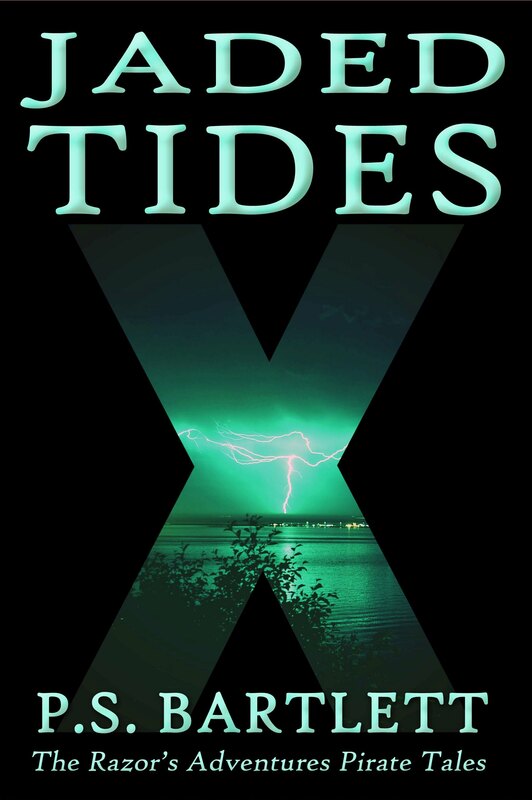 To read about the man Ivory Shepard knows as Rasmus, read Demons & Pearls, and pre-order Jaded Tides for Kindle or Paperback Monday, Oct. 5, 2015. Then you will be amazed at at this man’s journey, and perhaps destiny? More to come about Amber Wakes: Gabriel Falling over the coming weeks and how I need your help in some decision making. You’ll find out more about what the book is about, the process of how it came about, and the research that went into its writing. I’ve believed since I dedicated myself to this journey two years ago that I knew exactly what kind of writer I wanted to be. Since I wrote the first sentence of my first novel, that dedication hasn’t wavered. A simple little sentence started it all. I write fast. I think fast and once I set my sights on a goal I rarely give up unless I’m personally not satisfied with my level of performance or the quality of work I’m doing. So far, I see no reason to quit. As long as I keep breathing, moving, growing and evolving as a person, I’ll never stop. It is important to me to produce quality books. Since I am still learning every day what that means to me and how it relates to my writing, I believe I can only keep improving. I’ve always loved writing and although I spent most of my adult life working, raising children and just trying to keep my boat right side up, I chose to put my aspirations on the back burner and take care of my family. I do not regret it one little bit. Through that journey, I learned so much about myself and gained volumes of experience at just being a human being. I’m proud of whom I’ve finally grown up to be and I need to be proud of the work I do too. It’s a long road from writing your first page, to publishing. You will be knocked back more times than you can imagine. You’ll be told over and over again that your book “just isn’t what we’re looking for at this time.” Roadblock upon roadblock will rise up in front of you but you have to keep pushing on. Family problems, money shortages, day job, responsibilities and oh, that little thing called sleep will feel like a ball and chain at times but no matter what, you can’t give up. If being a published author is truly your calling or at the very least, your goal, allowing anything to stop you is not an option—no matter how long it takes or what road you take to get there. The most important thing to me is that I write what I want to read. I want to write words that feel like warm butter on a hot roll. Words that get inside of you and either make you squirm or rise up inside of you and escape with a smile. Words that stick in your head and come to mind when you least expect it. I want to write stories that when you close the book, you want more. The reason I know how important writing what I want to read is, is because I’ve tried writing stories that may fall into one of the hot selling genres and I couldn’t get through the first chapter. You’ll know you’re writing what you want to read, when closing your laptop feels like kicking a heroin addiction. I don’t want to write about what everyone else is writing about. I don’t need to sit at the cool kids table to feel good about myself. I know there are lots of genres and I know which ones sell the most. No, I’m not crazy and of course I want to make money and be able to write full time but I have to do it in a way I feel good about inside. I have to do it on my own terms. I have to tell a good story with characters you want to meet and know, and talk to again and again. I believe at some point I’ll be able to put almost anything into words but it has to be my anything, not what’s hot at the moment and not just because I want to be with the in crowd. My readers are out there and as long as I keep looking, I’ll find them and they’ll find me. I want to stand out. I have this crazy dream that my stories will one day be considered as some of the best ever. I’ll stand by that. I believe that and soon, I’ll live that. P.S. Bartlett – I’m taking a fantastic voyage. Won’t you join me? The Second Installment of The Prequel Series to The Blue Diamond. My 5 Star Review of 2014. The Novel that Launched the series. 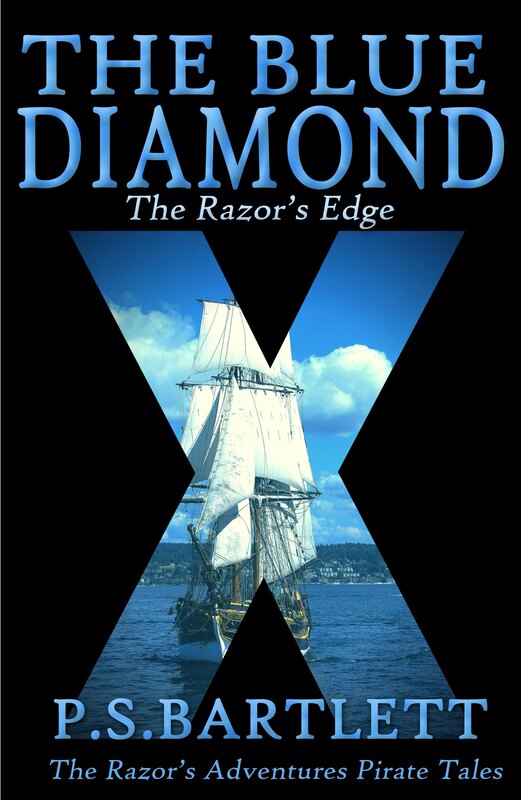 It’s not often I read stories about female pirates and I am impressed with The Blue Diamond (The Razor’s Edge Book One). P.S. Bartlett writes an entertaining novel that offers great action, adventure and witty dialogue. The personalities of Ivory and her cousins are complex, but I easily connected with them. These are independent, free spirited women with lusty appetites, especially Miranda. What about that book she and I wrote together? Tomorrow see the Book Cover here on Ronovan Writes.